Coffee Trail - Counting Stars, Reaching Delphi .✫*ﾟ･ﾟ｡.★.*｡･ﾟ✫*. 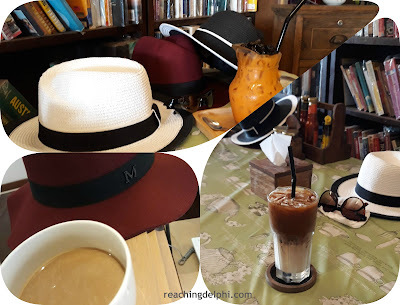 : Krabi: The Coffee Club Ladies’ weekend get-away! A travel guide and some tips for first timers in Krabi. Sawadee Ka! Today ReachingDelphi is taking you to another exotic destination in South-East Asia. Welcome to Krabi. So, how did we three ladies, each with such different personalities, decide to take this trip together? Was it through that Coffee Club we have become life-members of? I think so. And who is this mysterious MS-S? Perhaps Carmen Sandiego can provide some clues for you. Meanwhile, are your bags packed for your adventure with us? 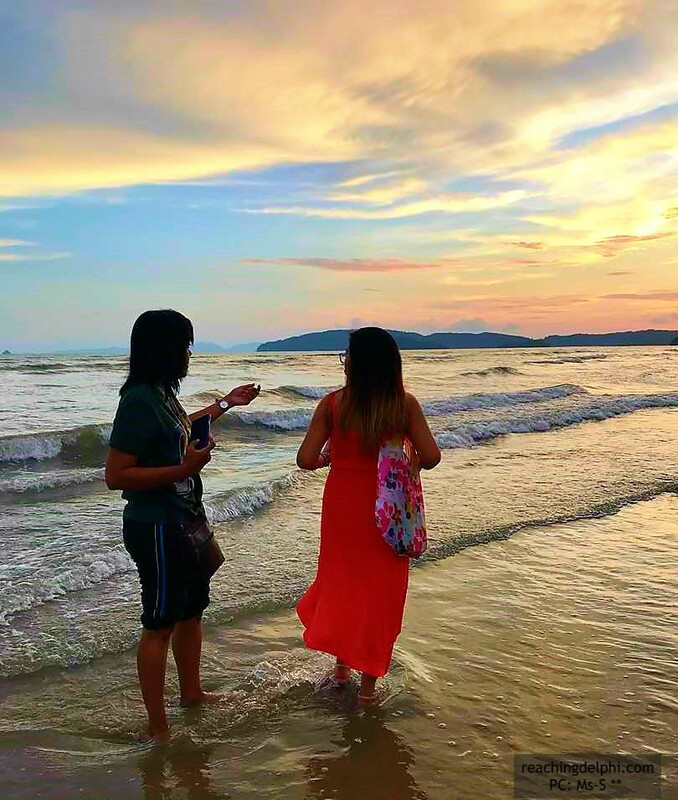 Come enjoy these sights as we show you some highlights in Krabi, and follow Carmen’s lead to unmask the face behind Ms-S.
Krabi really needs no introduction. This charming town is set in the west coast of Thailand, just 783km south of the country’s capital, Bangkok. Krabi is also part of the tropics, which means the climate here is warm all year round. 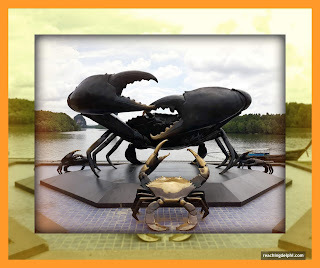 Rainy season in Krabi starts in November and lasts for 6 months. Here are some ReachingDelphi-Uma-Essentials for your trip. Flights – The Krabi international airport was opened in 1999. This airport serves both domestic and international flights. There are frequent direct flights between Krabi and many South-East Asian cities. The flight duration between Kuala Lumpur and Krabi is just a little over an hour. Krabi is accessible today by well-surfaced road networks. 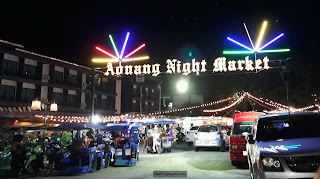 This is another exciting option for you to explore, especially if you desire a taste of the regional food and sights of the Thai-lifestyle along the way, and time is not an issue. 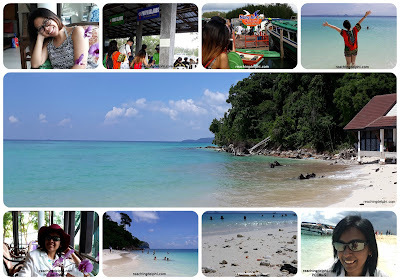 Ferry travel – Krabi borders the Andaman sea. 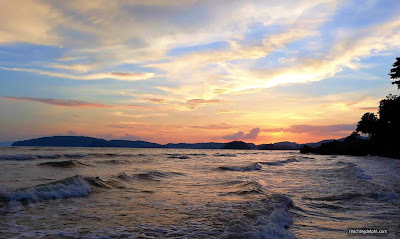 The port in Krabi is called Klong Jilad Pier. There are numerous companies providing ferry services between Krabi and Phuket/Phi Island/Koh Lanta, Koh Ngai, Koh Lipe. I also noticed a few commercial cruise liners in this region. If you are taking a taxi from the airport, opt for the prepaid services. These taxi drivers are professional. The prepaid airport services are endorsed by the local authorities. Taxi services are also available at all hotels. In addition to short drop-offs, taxi drivers also provide city tour services, charged by the duration and distance. Make sure you negotiate your package upfront. We engaged a driver with the hope of going to Tiger Cave temple after some breakfast and coffee, but the plan remained only a hope. There was a misunderstanding between the driver and us, although the driver had agreed to take the three of us to the caves at the start, he claimed that the fee he charged was insufficient for the distance. Local roaming – If you want a local SIM, get it at the airport. With a data (internet-ready) plan in hand, you have the option to book a ride anytime via the various mobile applications. 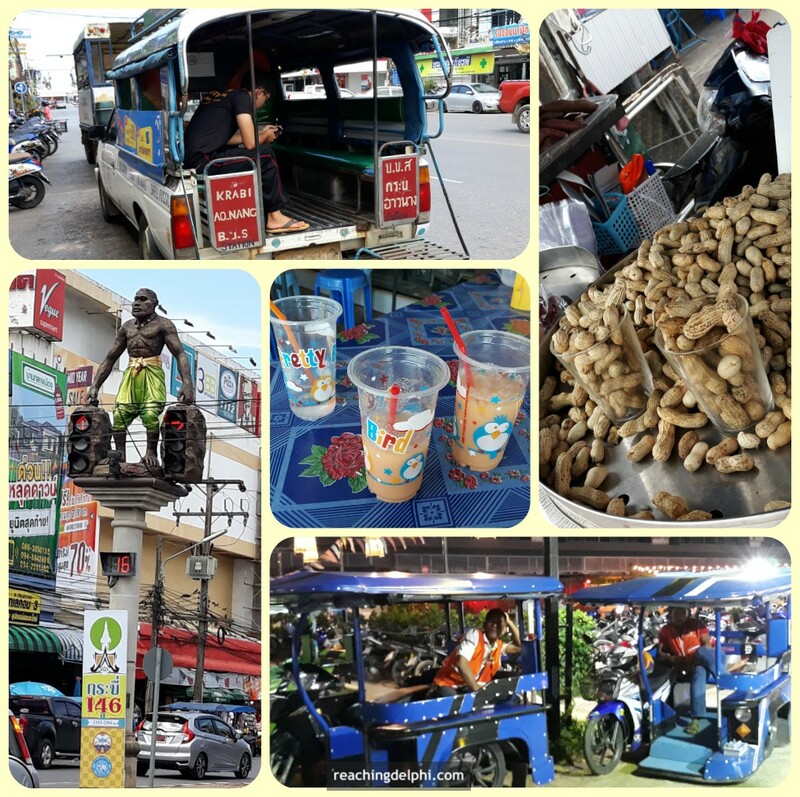 Tuk-Tuk services - Hail a local tuk-tuk or share a ride on the songthaew. 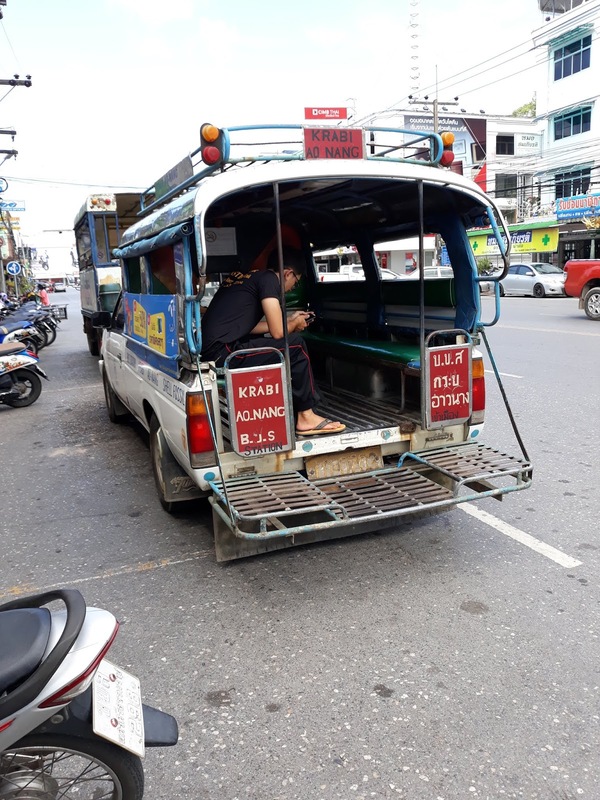 A songthaew is a passenger vehicle that is used as a shared taxi or bus. By foot – explore your local neighbourhood by foot. This is a great way to explore the local sights and to taste some of the local flavours. 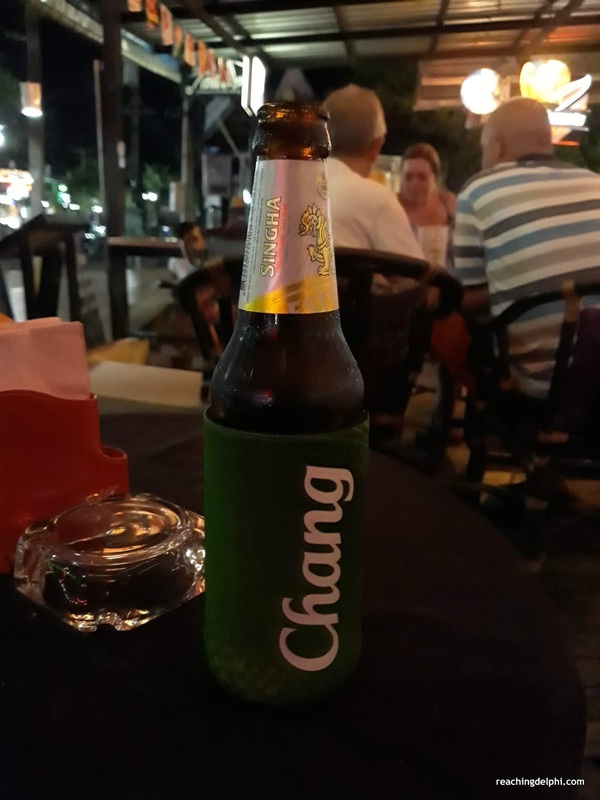 Now that you are in Krabi, it’s time to wake those sleepy taste buds up. 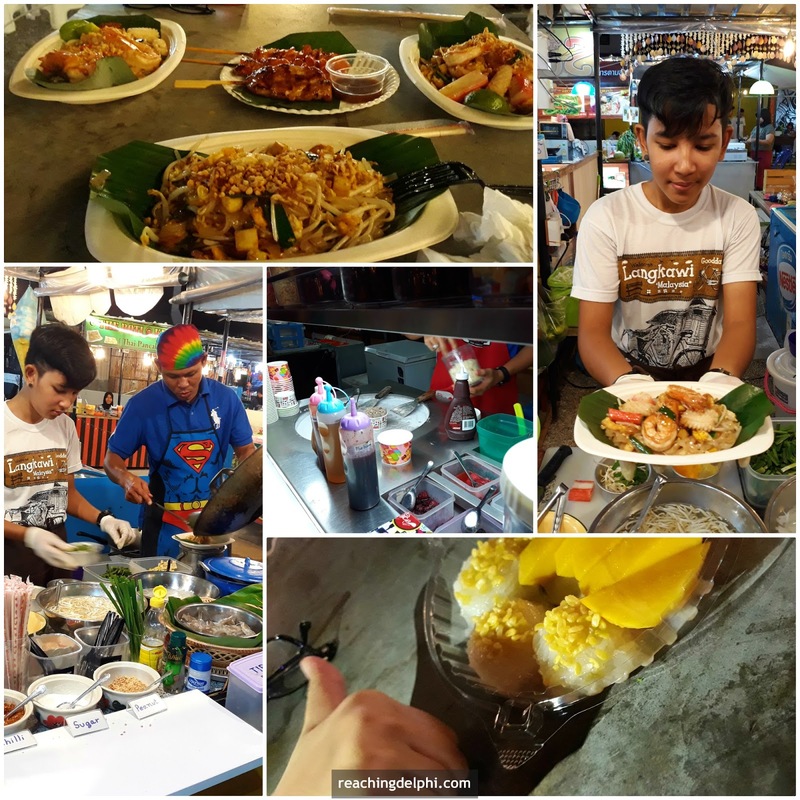 Street food - Thai cuisine just like the place, is an exotic mix of hot, sweet and tangy flavours. Head for local stalls to try some of these delicious delights. The Thais are accustomed to the unique preferences for the different traveller, so don’t be shy to place your request, especially if you want them to go easy on the chilli. The three of us had our own Pad Thai versions. Thai dessert - If you have a sweet tooth, you will not be disappointed. 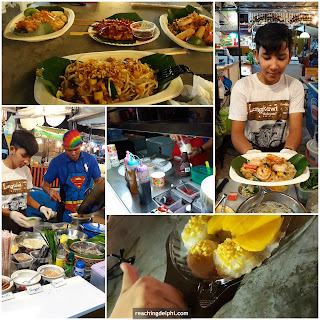 The sticky mango rice, Thong yot and Kanom-Sod Sais are must-haves. 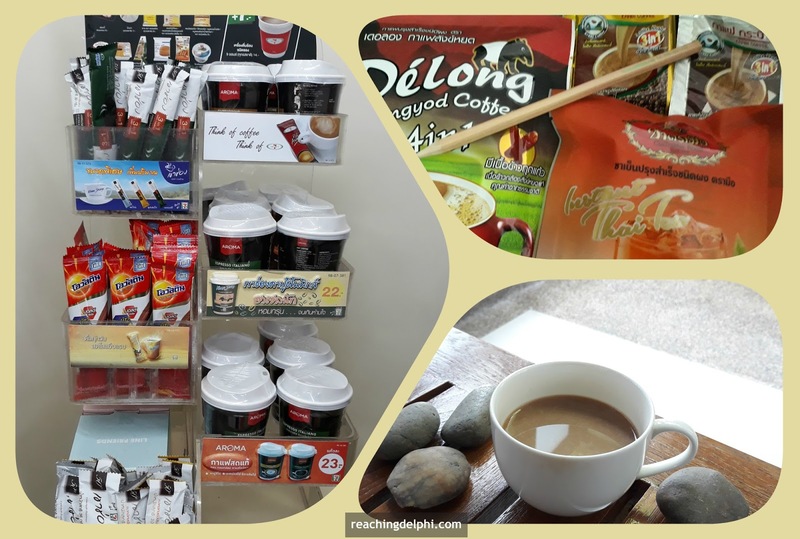 Thai coffee/tea – Thailand produces both Robusta and Arabica coffee. Most of Thailand’s Robusta is grown in the Malay Peninsula, whereas the Arabica is produced mainly in the highlands in the northern regions. The increasing number of coffee cafes is an indication that the coffee consumption in Thailand is generally heading north in numbers. Edible Bird’s Nest – searching for radiant looking skin? Try some edible bird’s nest soup or drink. The production and harvest of edible bird’s nest is an expanding industry here. We saw a farm on this trip. Water – It’s important to stay hydrated. With so many tropical fruits available here, try some local juices. 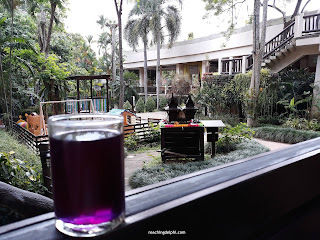 Be adventurous, try this purple drink just as we did. I have no idea what is, but it tasted awesome. We went for thirds … fourths … and then we finished the whole jug. 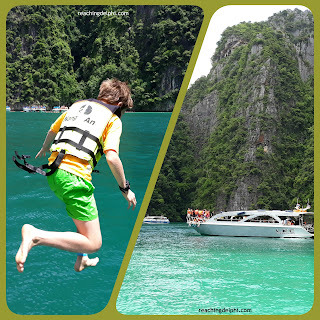 Island-hopping is a prevalent activity among travellers. Tour operators offer full-day and half-day packages to various nearby islands. Check out which ones you’d like to visit, and the activities you’d want to try during the trip. A full-day package would usually include a delicious local lunch. 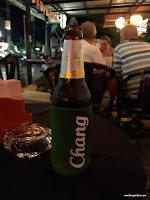 These tours are worth the baht’s and your time, so I would highly recommend you try them. 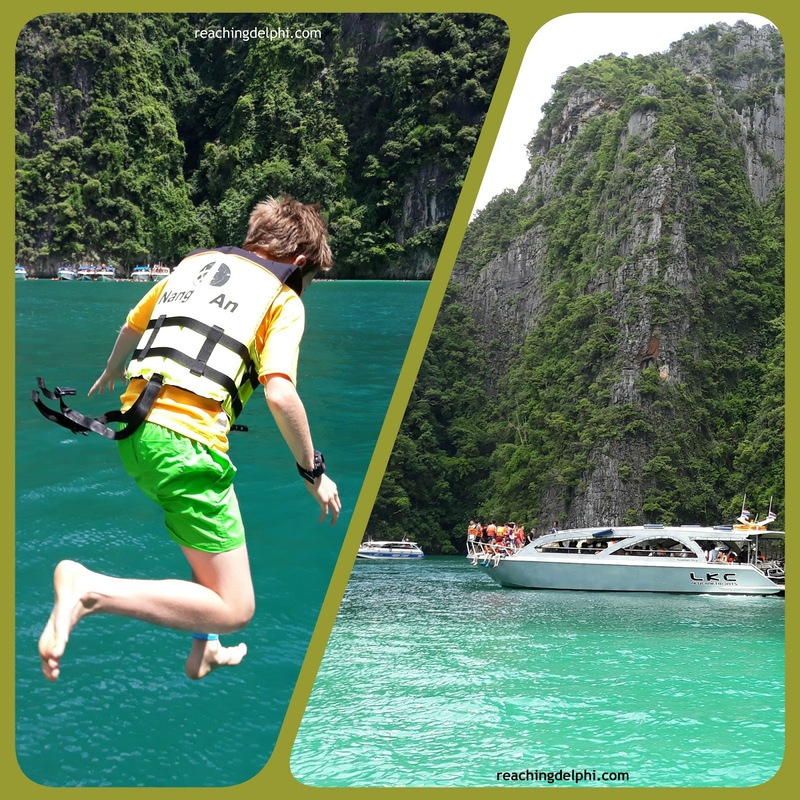 Whether you are on a beach in Krabi or heading out on an island-hopping tour – be prepared to get wet. 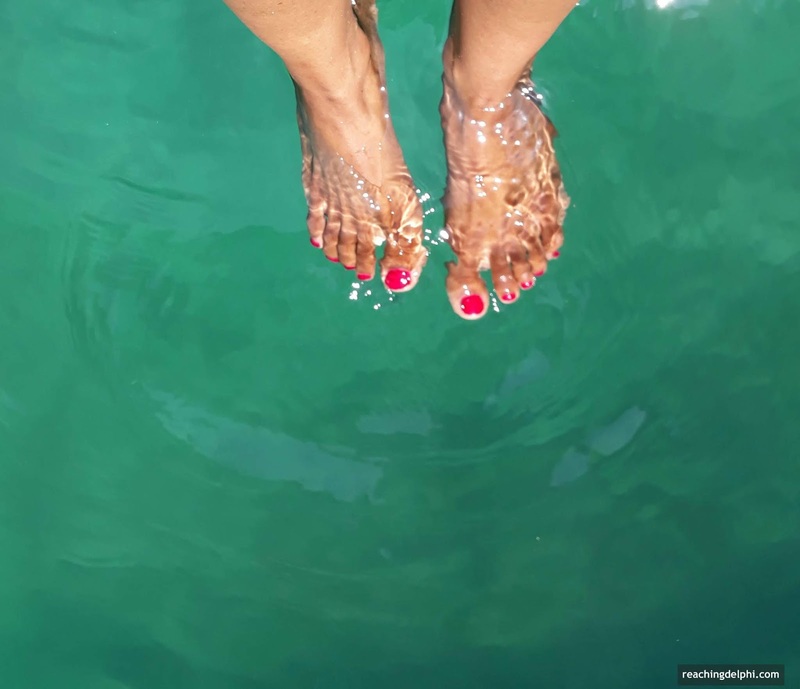 Don’t just sit there and dangle your feet in the water. 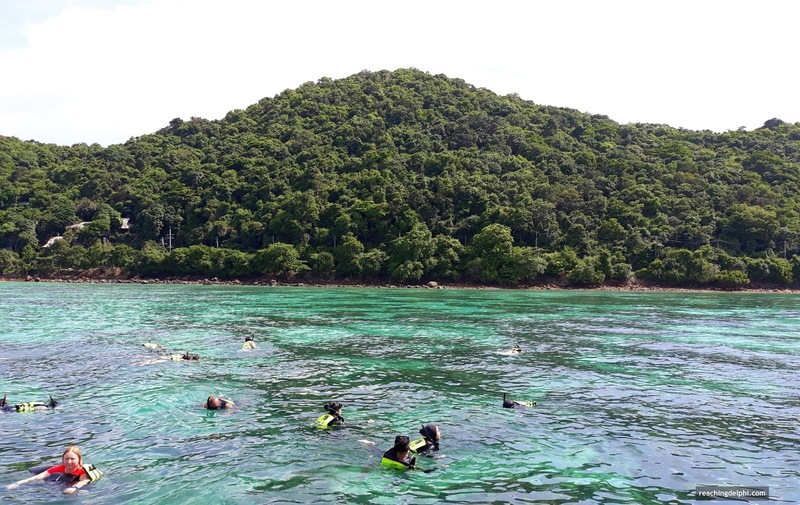 Swim, snorkel or dive in the Andaman sea. Just look at that heavenly blue ocean. If you are diving, you may even get the opportunity to come face-to-face with a whale shark. 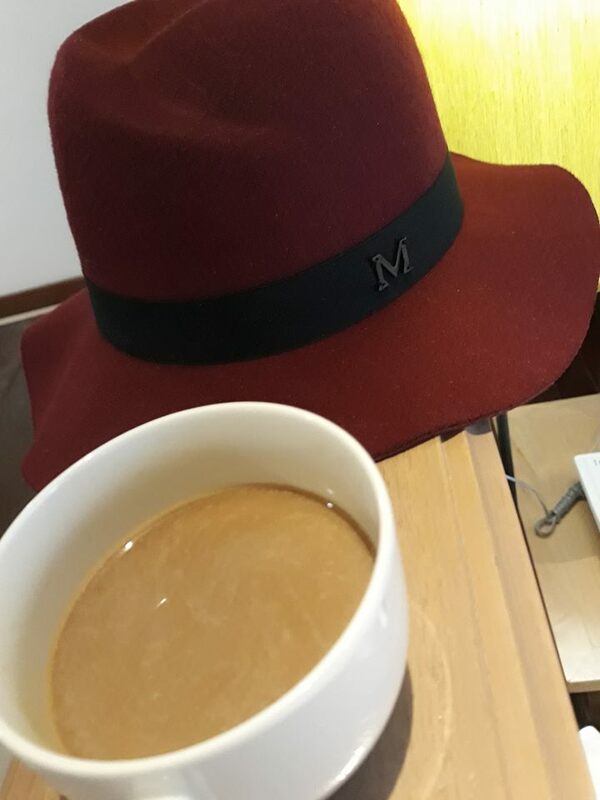 Put on your Carmen Sandiego hat and follow that monk. Take part in the lottery he points you to, it could be the ticket for your next holiday, or a clue to who Ms-S is, or to Reaching Delphi. Visit a Wat. Wat? What? Thailand has numerous Wats or temples; be sure to see at least one. The famous temple in Krabi is the Tiger Cave Temple (Wat Tham Suea). We didn’t get to climb to the top or say hello to the friendly monkeys there, but we found a couple of dragons at Wat Kaew Ko Wararam in Krabi town instead. Find that crab! It’s a big one, I hope you don’t miss it. You may see an eagle on the way but go for the crab. K(c)rab(i). Find a mystical sunset. Looks like Meth has found one and I am catching up with her from behind. Wait for us …. 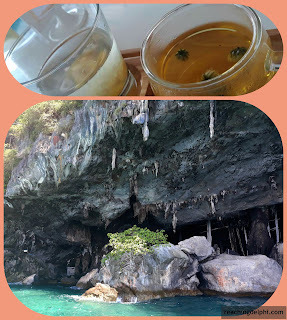 Railay – try some rock climbing. Let’s save this for the next round too. Unwind with a local Thai Massage or some reflexology. Coffee - My rule is to never leave any place you visit without at least one packet of local coffee. I picked a few from a local 7-Eleven and from the hotel. 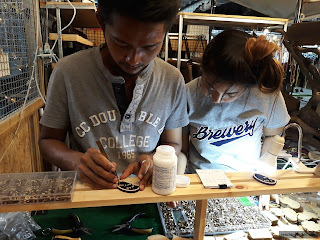 Tidbits – The Thais are incredibly creative in everything they do, including creating some excellent tidbit selection, which are not like the ones we get back at home. My friends picked up quite a lot of these exciting items along the way. Handicrafts – you can get just about any local Thai craft in Krabi. Some shops do offer good bargains, so remember to ask for a discount. 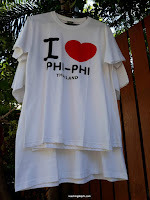 I-love-Krabi (or Phi Phi) T-shirts. Yacht – This would be useful to reach Delphi. I will add it to the bucket list for now. 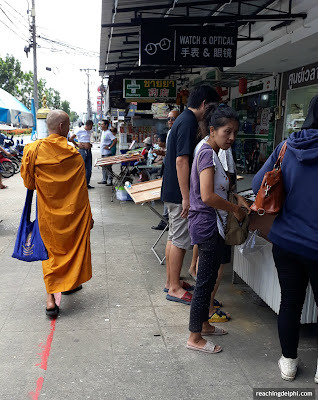 I am not much of a shopper during vacations, but I did observe there are quite a few places where one can buy things in Krabi. Ao Nang – Head to the night market for some local food, T-shirts, clothes and crafts. If you haven’t arranged any sightseeing tours yet, don’t fret. There are plenty of tour operators offering terrific deals for a steal. 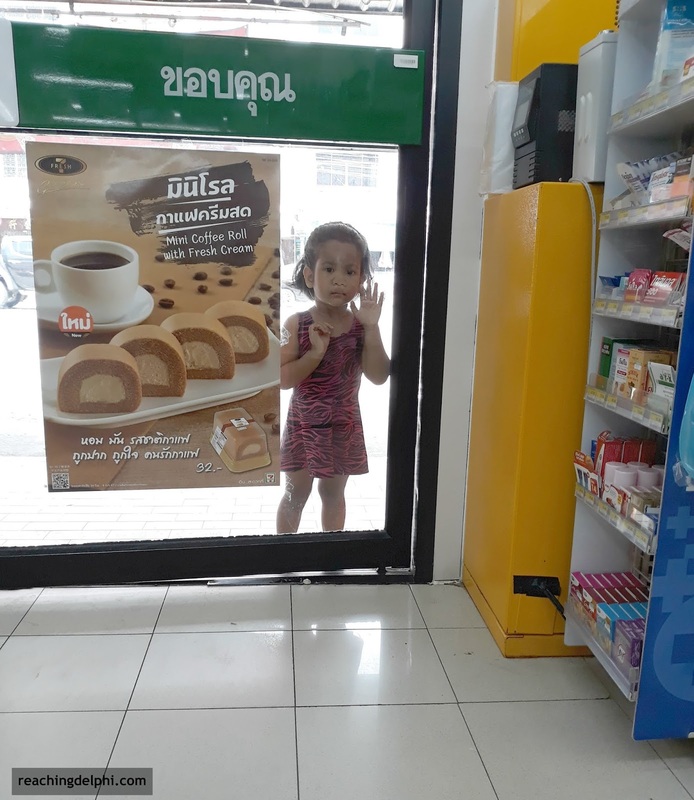 Krabi town – You can pick up almost anything in Krabi town including coffee, snacks, drinks, books, clothes, electronics, jewellery, furniture, birds nest drinks and lottery tickets. Islands – It’s a little hard to associate anything unique with any place these days. Nevertheless, if you find something unique, go on and get it. 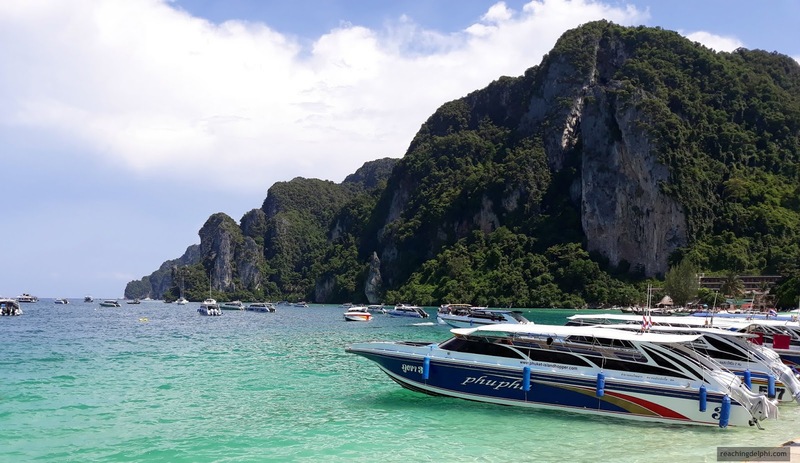 Complete your packing list - While it is true you can get almost anything in Krabi, it is worth your time to make sure you take along all the essentials with you. Use this checklist as your starting point. 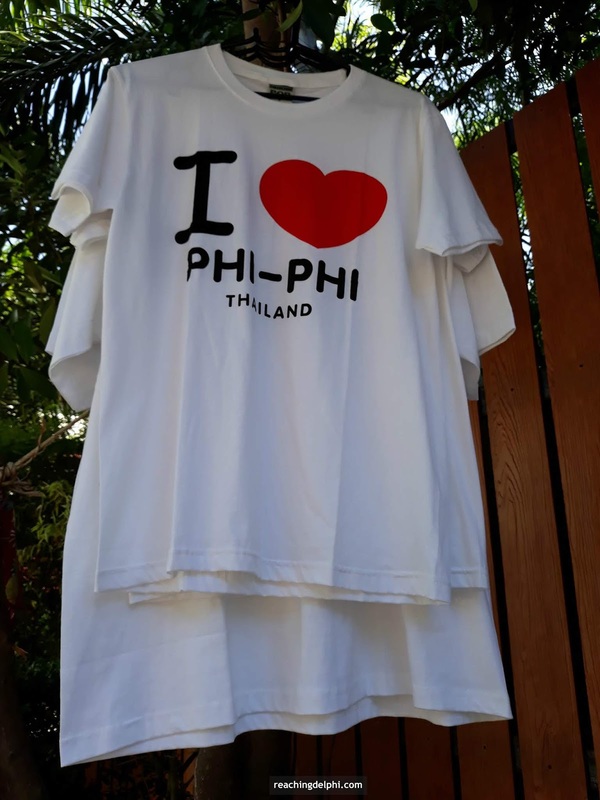 Essential Thai phrases – Trust me, knowing some common local phrases will take you a long way. Start with offering a “Sawadee Ka” to a local. In most cases the response will be a positive one, except when you pick a little kid like I did, in which case you might just receive a cold stare. Well, Carmen did you find out who Ms-S is? Where is Carmen, did she decide to stay behind in one of those Islands? Carmen …. It’s time for some Thai coffee and to count those stars over the Andaman. Have a great countdown to 2019. See you soon.